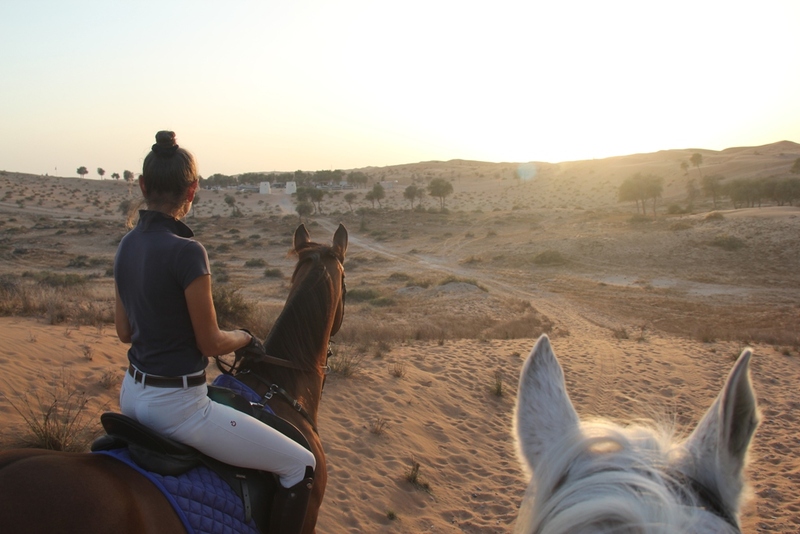 Late afternoon and the view of the Al Wadi desert from my perch on Nino’s back is nothing short of emotional. I should point out here, Nino is a proud white Arabian horse and standing motionless atop this sand dune, I can’t help feeling he’s surveying his own back yard. 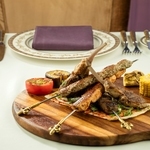 The desert is a mere 15 minute drive from the equally proud Waldorf Astoria hotel which typifies just how far Ras al-Khaimah has come in such a relatively short time. RAK, as it is more fondly known locally, began investing in tourism in 2010 and since then has quietly slipped out from under the tent straps of Dubai and Abu Dhabi and become a destination Emirate in its own right. Ras Al-Khaimah translates as “top of the tent” and relates to its position as the northernmost Emirate in the UAE. Just a 45 minute drive from Dubai but light years away in comparison. It’s an Emirate blessed with abundant natural gifts; the towering Hagar mountains are a constant backdrop, with Jebel Jais at 2,000 metres, the UAEs tallest peak. The Mangrove forests offer kayakers an opportunity to observe bird and marine life in their natural habitat. 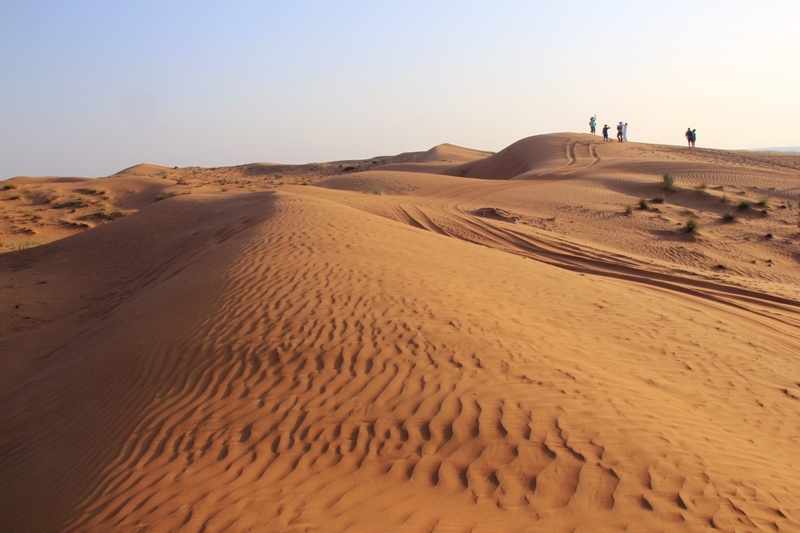 The iconic Al Wadi desert on the doorstep; vast dunes and wild gazelle tailor-made for safari adventures and horse riding. 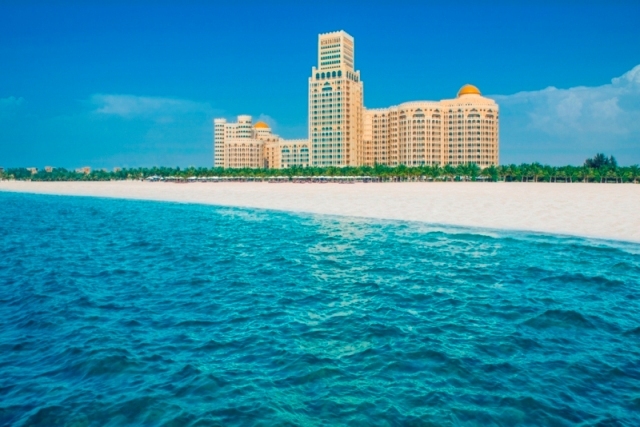 And then, of course, the 60 odd kilometres of beaches; white sand lapped by the gentle waters of the Arabian Gulf. It’s an impressive list and perhaps puzzling as to why RAK had been so reluctant to embrace the trappings of tourism sooner. Avaz my guide interrupts my reverie with a passing fact as we head for a day out in the mountains. “RAK has no oil production, but plenty of natural gas. It’s also one of the biggest producer of ceramics in the world.” A good clue that. Mining on your doorstep makes sense. That said, it seems you can have the best of both worlds and that is exactly what is happening. However, lessons have been learned with Dubai and the phrase sustainable tourism is used frequently here. There is very little traffic. The air is fresher. The way of life slower. These are all ingredients for a perfect holiday destination. But understandably, there is also caution against overdevelopment. RAK is still in development mode and there are still long stretches of nothing in-between pockets of development, but what has been completed is very impressive. Impressive enough for a line of luxury hotel brands to come knocking on the door including Hilton, Waldorf-Astoria, Ritz-Carlton, Accor and a host of others. Many of them are clustered around Al Marjan Island, a man-made coral shaped group of interconnected islands stretching out to sea. Perhaps RAKs version of The Palm but on a much smaller scale. 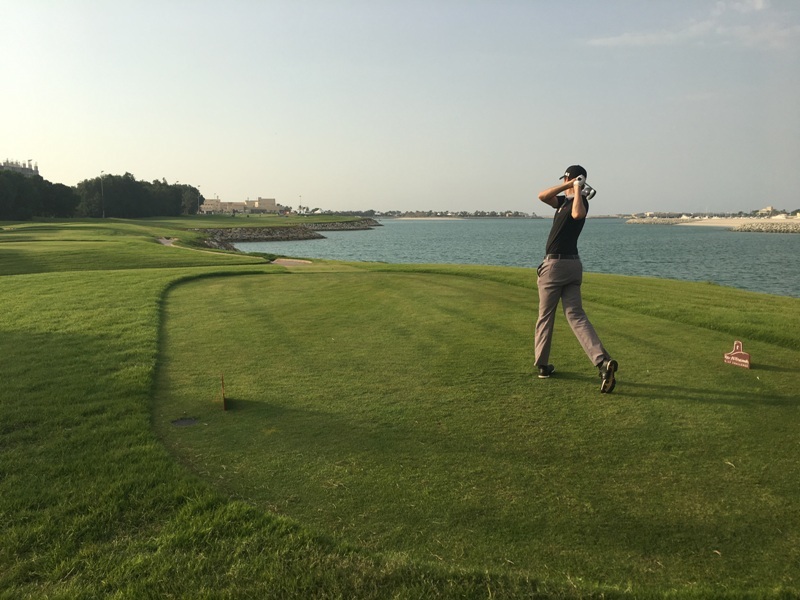 Two golf courses are in town; Al Hamra Golf Club right next to the sea, hosts a European Challenge Tour event each year. The Challenge Tour helps feed new golfing talent into the main PGA European Tour. Then, no more than a couple of 3 irons away, the Tower Links offers a different challenge meandering its way through a Mangrove reserve. As we drive out to the mountains we pass by old RAK parted from the newer city by an ancient creek. It’s a town still steeped in tradition; by the old Corniche, a daily bustling fish and vegetable market holds hands with coffee shops, narrow streets and shisha. The smell of spices. And, just outside by the beach, the Mohammed Bin Salim Al-Qasimi mosque; a site of prayer for over 400 years. Built from coral stone and beach rock, recent renovations have restored the 60 internal columns and the rare mangrove wood ceiling. It is a remarkable structure, particularly the simple outside calling platform which these days has been superseded by minarets and loud speakers. Avaz turns the car inland and as we start climbing towards Jebel Jais the landscape becomes more rugged and desolate.There are still mountain communities here and we pass small clusters of homes interspersed with creeks and small herds of wild goats. Less than hour and we arrive at the via ferrata. Based on the famous via ferrata (iron road) in Italy’s alpine region, it’s a protected route of mountain trekking using a steel cable fixed to the rock face to help you navigate the steep paths. 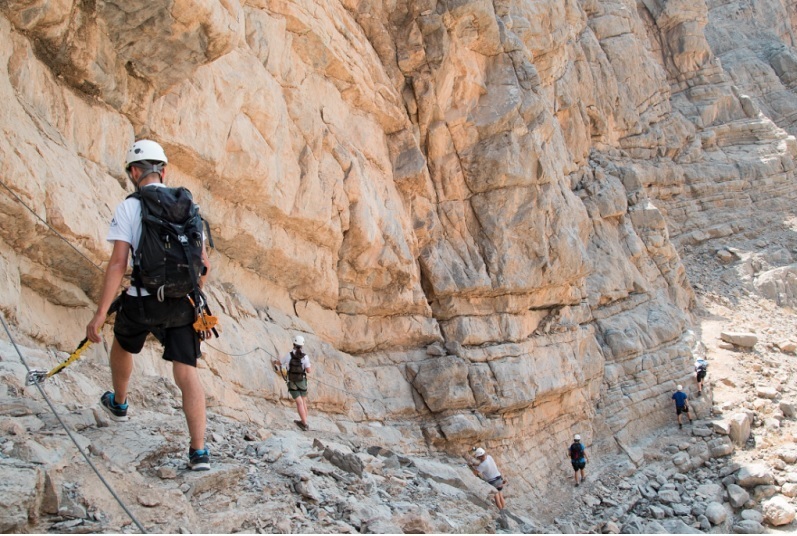 In true via ferrata tradition, there are also iron rungs, ladders and steps along the route. It’s a true mountain adventure and as you’re fastened to the cable, it’s a safe activity for all levels of fitness. Just to add to the fun, there’s even a series of zip lines to navigate too. Talking of zip lines, we drive further up and grab a taste of what is to come in December. The world’s longest zip line will shatter the current world record of 2,200 metres set by The Monster in Puerto Rico. Toro Verde, the company behind The Monster are poised to break their own record by constructing this version atop Jebel Jais. “This zip ride will take over three minutes to complete” Jeffrey, the Operations Manager of Toro Verde casually tells me as we stand looking over the vast expanse between peaks. 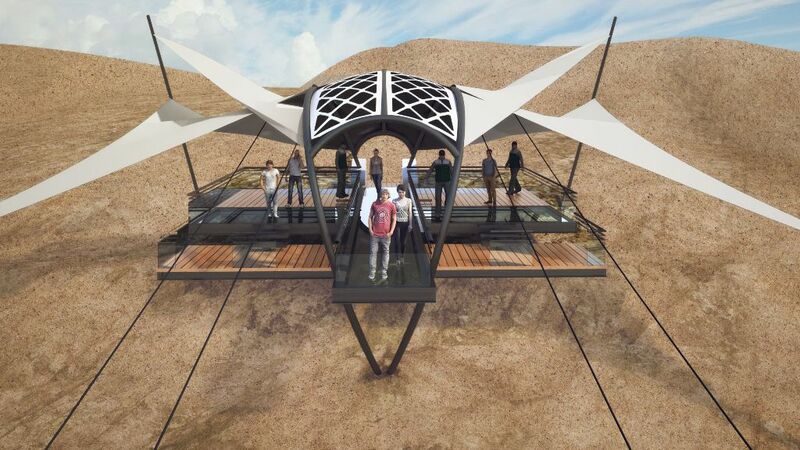 The new zip line attraction is a real feather in the cap for RAK considering its neighbours are obsessed with doing things bigger and better than anyone else. Before we leave the mountains Avaz has one more surprise for me. Perched at the peak of Jebel Jais is another regional first; an outdoor night time concert venue poised to present the classical performance of VIVALDIANNO City Of Mirrors to a sold out audience of 1,200. It is an imaginatively bold project; a state of the art sound and light show surrounded by rock from the dawn of time. 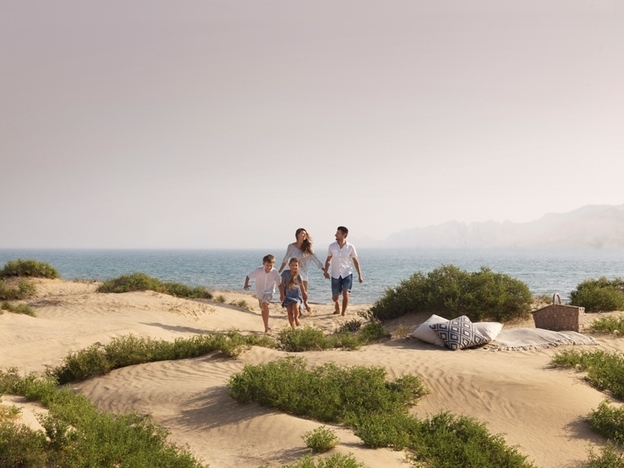 RAK’s tourism promise is fully living up to its potential. There is a wonderful scent of optimism here that you just don’t feel in Dubai and Abu Dhabi. It is an opportunity to enjoy the perfect climate and facilities at prices far lower than its more illustrious neighbours. There’s a bit of a spring in his step as I ride Nino back to the Ritz-Carlton-run stables at the Al Wadi Desert. Perhaps he feels the same way about what’s happening in his own back yard. 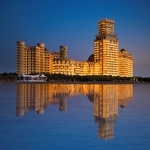 RAKs web site has details of all the hotels and activities available throughout the Emirate. Stay in the desert. 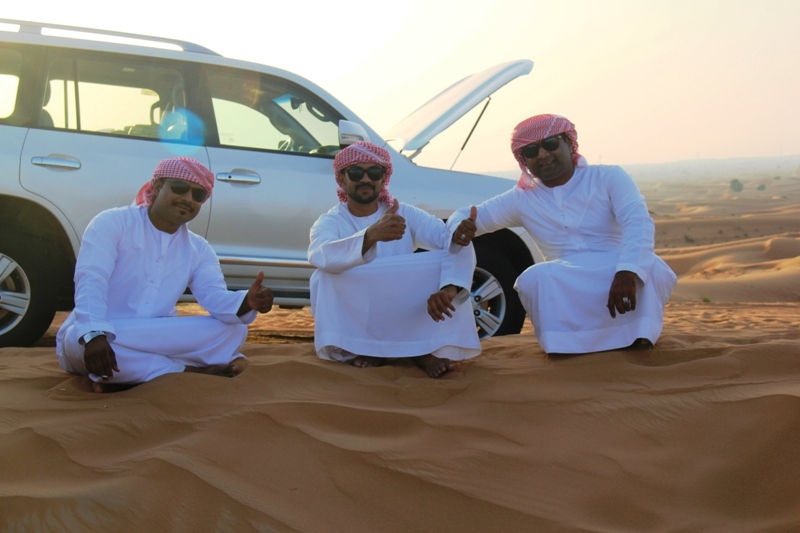 Ritz Carlton provides luxury al Wadi desert accommodation.